Money creates the urge to either expend or to save. People tend to find avenues of personal and public finances to well-utilize their hard-earned money. The irony of their search is quite interesting which evolves from their self-led thinking or myths on personal as well as public finances. A very insightful research has come up with top 10 lists describing the common finance myths on the money. Undoubtedly, loan liability is like a sword on household finances that hangs on the head till it is entirely paid off. It is generally believed to prepay the house mortgage at the earliest to reduce the burden of interest payment and also to, ease the 30-year repayment term plan. But, is it wise to make haste in paying off the mortgage and ignoring the important budget investments. 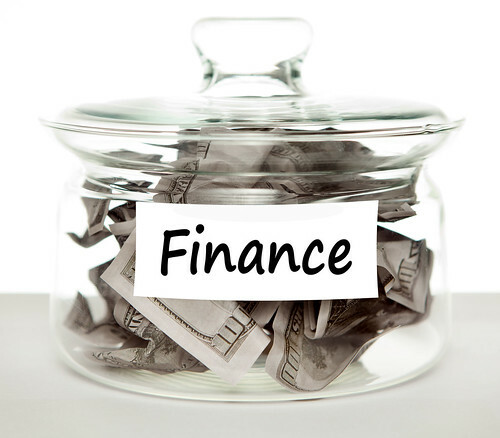 In Personal finance planning, one needs to prioritize his expenditure and has to ensure the money-availability for higher-rate debt payments, insurance, emergency needs etc., before giving away money for prepayment. A dream of owning a house is every person’s young desire. These dreams turn into ambitions and people put their mind in personal budgeting. The generic perception is to have one’s own house instead of living in a rented house. The reason is that renting is an additional household finance and a burden on monthly income. Basically, this decision may not be sound for people who don’t have the ready financial ability to bear the up-front expenses, for instance, closing costs, down payments, registration charges etc. In such case, renting would be one of the wise personal finance tips in comparison to buying a home. Personal finance planning includes covering the livelihood expenses after retirement. The crucial old age shall rely mostly on the savings made during young working age. The only issue that has been observed is that young generation fails to correctly estimate the money to be saved for future purpose. The statistics show that the average money saved by people under pension scheme is about £ 124,000 i.e. £12,000 p.a. which is far less than attributed by expert pension calculators. So, listen to the expert’s advice. The simple truth behind credit cards is to pay them in full each month and don’t let the credit balance accumulate. It is not the fault of credit card if you find a boost in the credit score. Rather, the credit scores are estimated on the basis of credit utilization ratio which is better if debt is less against the ready-to-loan lenders. So, manage your personal loans, pay timely credit card bills and smile with ease every month. If the person has to choose between a credit card and cash/debit card, he believes in opting for cash/debit card as it comes without interest or statement. The generic thinking is that it is difficult to trace outflows if payments are made via credit card and the outcome is heavy bills or high debt/interest on late payments. But, actually Cash/ debit card is not secure in comparison to credit cards, as cash can be easily stolen and leaves no scope of return whereas debit card leads the fraudsters straight to your bank account and credit card provides numerous offers and better security, provided you act responsibly. The best of personal finance tip here would be to be punctual in paying full bills and check the credit-card app on mobiles to trace bills, benefits, offers etc. The usual trend seen in a family’s personal financial planning is saving money by buying cheaper products or adopting cheap solutions. For instance, shopping coupons or meal coupons can arouse your temptation to buy more than necessary and the final result is actual waste of saved money. It is advisable to save the money by spending on apt things rather than cheap products and then facing heavy after-effects. High income group have always been the target of income tax officers. Though, it is believed that ratio between a normal income-earning individual to top earning individual is 10:1, which is incorrect. As in total, there are just 1% people who are earning more than £150000 p.a. and this category is of the highest income tax payers as compared to the middle income or upper-middle income groups. Precious metals like gold, silver are often considered as safe as well as excellent investment. On the contrary, the volatility in their prices is abominably high and speculative. Its buying and selling price may see significant variation leading to either huge loss or minimal profit. Secondly, it is difficult to safeguard these precious metals and one has to pay locker rents in banks to keep them secure. So, think wisely before opting for this investment under personal finance planning. Investment in stocks or securities should be on the basis of your monetary needs for household finances. People tend to think that if they are growing old they must avoid taking risks of stock investment. Rather, it is one of the best sources of investing your saved money as you have time to monitor the stock analysis and can make out reasonable money by heeding the expert advices. People who don’t save usually make this statement i.e.’ I don’t earn enough to save’. Everyone has the capacity to save from his earning, high or low is not worth consideration. It is an experienced perception from wise persons, that, saving is one habit that everyone must develop for better future. The majority of people look forward to retirement and the ideal that they will no longer need to work every day. The fund that they have been paying into for years will mature and provide them with a reasonable amount of income very month. Unfortunately the traditional approach of saving is not the best solution or even a viable solution for many people. Even those who are able to save monthly are at risk of losing a large proportion of their savings if their pension company invests it badly. Much of the calculations used to work out an acceptable pension income level are based upon current income and standard of living. However, your current income will be largely spent on paying debt. Instead of saving for retirement you should focus on paying down your debt, no debt will equate to a far lower figure being required to provide a good pension pot. Instead of focusing on building an investment portfolio you need to focus on how you can earn a small amount of extra money each year. It is entirely possible that you can generate enough funds to live comfortably on, without debt, by just working part time. This will allow you the time to look at alternative ways of making money for your retirement. All through your working life you are expected to pay contributions into the social security scheme. You then start to draw these at retirement age. There are actually many other options that can be employed to maximize the benefit you receive from your contributions. It is advisable to speak to your advisor to ensure you are getting the most for your money. It is easy to calculate what fund you require to provide a reasonable level of income in your retirement. It is also easy to continue working past retirement age in order to build this fund. However, many people do not consider the possibility of relocating to a cheaper part of the country or even world. This will make your current nest egg go much further and will allow you to retire sooner. Surgery, even with insurance can be expensive and often unavoidable. It is cheaper to take a medical vacation and have the surgery completed in a different country. This will allow you to keep your money in your savings pot. You may also benefit from access to pioneering new treatments as you visit a medical facility which specializes in your treatment. Just be sure to thoroughly check the facility and the doctors before committing to an operation. One of the many joys and often the highlight of a busy working life is the annual holiday. However, for those who enjoy travelling it can be an expensive hobby. Instead of booking five star luxury hotels you should be looking at different ways to holiday. It is possible to use ‘travel hacking’ to build up a large volume of frequent flyer miles or hotel loyalty points. These can then be used to save yourself money whilst still enjoying the vacation you deserve. Investing in wine can be an excellent way of saving retirement money. However, if you’re new to the market and you haven’t done it before, you should check with a professional and ask for assistance first. Consider a wine investment fund; purchase good quality wine in advance and let them mature. In 5 to 10 years they’ll become valuable enough to get sold. There are many alternative ways of providing for you and your loved one during retirement. The most important starting point is to get rid of your debt. From this point on you will be able to locate a wide variety of methods which will assist you to live for less and need less funds when you retire. The more you use your imagination the more successful you will be at this! Investment of any sort involves placing money into something today and hoping to receive more money back at some point in the future. Some investments are long term whilst others are short term and you can expect to see an increase in your capital quickly. Of course, the quicker the return the more risk involved and you should never invest funds that you are not prepared to lose. Real estate investment operates on a simple basic premise; buy a property, rent it and make enough money to buy another property. Over time your portfolio will increase and each house will provide you with a small income. The combination of many houses can provide a comfortable living and a capital source should you ever choose to sell some or all of your properties. The funds you use to purchase property could be invested in an alternative investment vessel such as stocks, shares or bonds. It can be easy to withdraw your money from these funds. 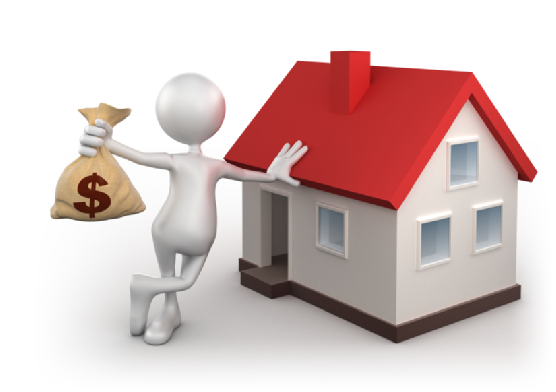 Property investment is different; it will not allow you to withdraw your funds easily. It is essential to be sure you will have no need for the funds in the near future. You also need to ensure you are purchasing properties which will provide a regular rental income and that these funds will more than cover all your costs. If you are not able to receive returns higher than you would get investing elsewhere then there is little point in purchasing the property. Real estate investment carries a fairly high level of risk, a housing price crash and wipe out your liquidity or even all your assets. The best way to reduce this risk is to purchase properties which are ready to rent, currently being rented or are in a very popular renting area. Being able to receive an income will go a long way towards reducing the risk. Long term rentals are much easier to manage than college rentals or vacation rentals. The more boring properties are easy to rent and if you have tenants with a good credit profile then you will be likely to need little time for managing the property. The more boring and ‘normal’ the property the easier it will be to rent. Although you wish to keep the time you spend managing your property to a minimum it is always worth the effort to be fair and respectful when dealing with your tenants. A happy tenant will pay the rent and stay long term; this will make them a perfect tenant. It can be very difficult to work out which areas are likely to have above market average price rises and purchase properties ready to make a quick return on your investment. This type of real estate investment can be very lucrative but it does take time and practice to ensure you get it right! 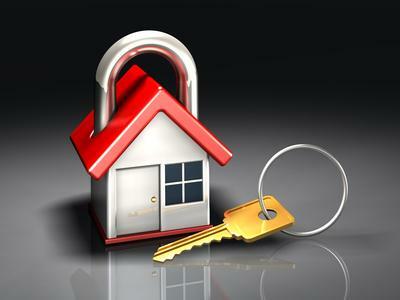 You will need to be alert to any potential change in the area which will affect house prices. The term ‘flipping’ refers to purchasing a house and improving it in order to resale it for a higher price. This is, again, more difficult and risky than simply renting properties. It will take research and practice to assess the potential of any property and the likely costs of improving it. You will then need to estimate how much value will be added to the real estate to assess whether it is worth it or not. This is another skill that will improve with time. It is essential to remember that the aim of purchasing any property other than your home is to make money. For example, if you have to buy villas in Antalya, first study the market carefully and your finances to ensure you can afford all necessary expenditures before launching into a career as a property tycoon. Believe it or not, there are great chances for someone to make a good profit. However, it is fundamental to abide by the rules. Don’t make uninformed decisions and whatever you do, don’t spend money on properties that only look good. If you have made up your mind that your next big-ticket investment is going to be in real estate, particularly in on going residential projects in Mumbai, then there are several sensible ways of saving valuable money without compromising on the quality of the deal. After all, the entire purpose of investing in real estate is to get a decent return on your money while diversifying your portfolio for stability. The first decision that will end up saving a lot of money from being wasted is whether the purchase should be a residential property or a commercial one. While there’s no denying the special attraction all Indians have towards residential property, you need to investigate whether it is the right time to invest in the luxury apartment Prabhadevi that you had been eyeing for some time. At this current point of time apartments in the really upscale development projects in Prabhadevi that have been completed or are under construction have reached their peak prices whereas retail spaces as well as office units have just begun to recover from the price collapse of a few years back. The cost-effectiveness of the purchase will be clear from the rental yields that you will be able to obtain. Currently a 2/3 BHK Prabhadevi apartment is unlikely to yield more than 3-5% per year, while commercial units can give you a return in excess of 10%. If you are buying an old property, you need to find out if the condition of the property is such that you need to conduct extensive repair and renovation as that is likely to add to your total investment and lower your yield. Commercial properties are a little better off than residential properties in this regard as the tenants would generally like to do up the offices or retail spaces in their own way – all they want is the basic physical infrastructure. Tenants for residential properties on the other hand can be really finicky if they are paying premium rentals. Get the whole picture of the residential realty scenario in the 2015 guide on upcoming residential projects.. Savvy real estate investors make it a point to hold on to the property for a period of at least three years before selling it off. This is because profits generated on the sale of properties held for less than that is taxed fully in the year of the sale while they will attract long term capital gains tax at only 20% if the sale is after three years of ownership. Further, the capital gains tax is calculated only after application of indexation that factors in the effect of inflation. This considerably brings down the payable tax amount when you compare it with the rate of short term capital gains. You can also save on the tax if you buy upcoming residential Prabhadevi property from the proceeds of a house property sale, however for this to be effective the purchase must be within two years from the sale date. The exemption is also available for those constructing new houses within three years. You need to keep in mind that this is an incentive provided by the government for people to buy residential units so you cannot avail of these tax breaks by investing in commercial property from the proceeds of a sale. The tax break is available only on one additional house besides the one you inhabit. You can also invest the profit made from property sales in capital gains bonds issued by government authorities like NHAI and REC. These instruments have lock in periods of three years and a maximum investment limit of Rs.50 lakhs. Tags: on , going , residential , projects , in , mumbai, , 2015 , guide , upcoming , projects. Investing in fine wine has becoming increasingly popular over the last few years. Many investors now recognize the reduced risks associated with this type of investment. They have also come to acknowledge that fine wine investments have been proven to provide better returns than many equity or bond options. The best fine wines are only produced in a limited supply. As time progresses many of these wines are consumed and there are far less of them available. The older the wine gets the more it becomes in demand by connoisseurs and collectors. The longer you hold onto the wine the more desirable, rare and sought after it is and this is what pushes the price rapidly upwards. Combined with this is the fact that fine wine investment is becoming increasingly popular. This may make it difficult to purchase the right wine but it will also provide even more buyers once you have purchased the right product. It is important to allow at least three years from purchase before you consider selling your fine wines. This will permit you to achieve the largest returns possible. If you don’t know the market really well, it’s best to consult with a wine merchant, just to be on the safe aside and avoid getting scammed. Fine wine has been shown to outperform many bonds and equities and this makes them a solid risk, particularly in comparison to many stock market options. This can enable many investors to chase the more risky investments safe in the knowledge that they have a secure backbone to their portfolio. The best thing about investing in fine wines is that they can be appreciated yourself. If you want to you can always drink your stock! More importantly it is very easy to turn fine wines back into cash and this makes it one of the most liquid assets around. These two economies have been growing at an unprecedented rate and are now one of the biggest consumers of fine wines in the world. The growth in their economies has been fuelled by a massive increase in their manufacturing abilities combined with demand from the rest of the world. This has resulted in a large increase in the number of wealthy Chinese people. Much of these available funds have been spent on purchasing fine wines and this has had the effect of increasing the number of customers in the market. This additional amount of customers has actually made the price increase as there is now more demand than supply. Honk Kong has now become a hub for fine wine and is rivaling established places such as London and New York. Most of the best wines are produced in France and Italy. Bordeaux, Burgundy, Tuscany and the Rhone Valley wines are known to be some of the best in the world. 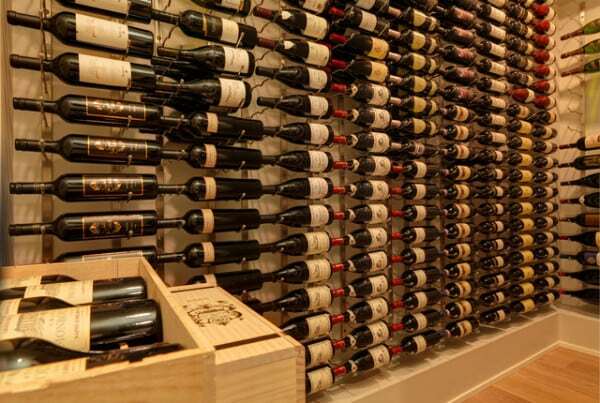 These wines can be sold across the world and should you wish to sell your collection your marketplace is truly global. The more you can invest the more options which are available to you and the better your returns. However, you can still make excellent returns by investing as little as $10,000. The most important element of fine wine investing is to look for quality over quantity. Fewer bottles for your funds should mean less storage and other costs. The rise in price is usually higher on smaller quantities of wine and the key is to knowing when to sell. Pay close attention to storage - for your product to appreciate it must be stored in the right conditions. Furthermore, unlike additional types of alternative investments, fine wine investment is tax free, providing that you keep your wine in bond.